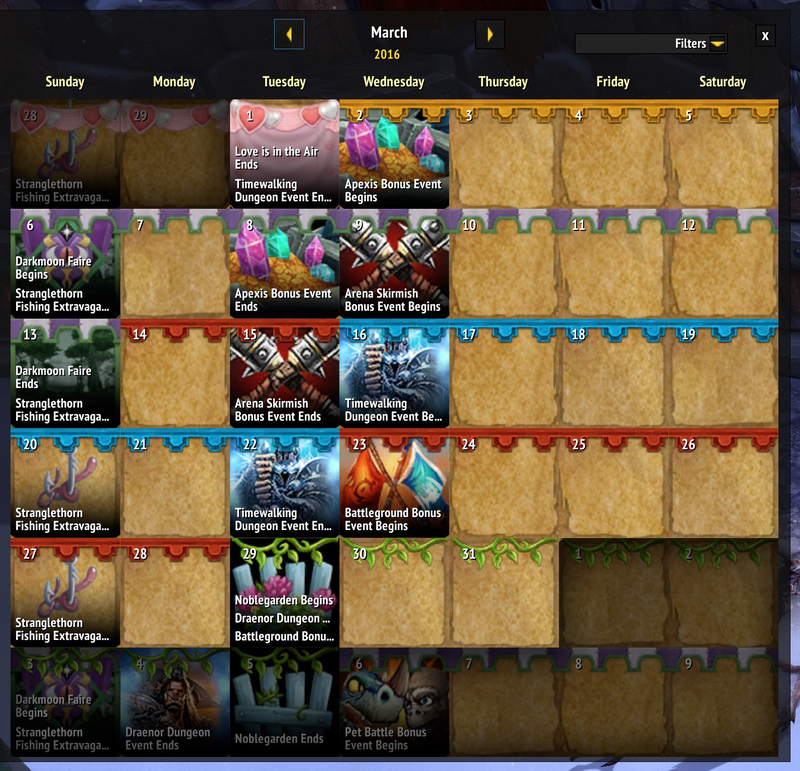 I was casually scrolling through the in game calendar this evening to see what the bonus events were each week. Then I got bored and just kept scrolling, when I noticed something strange. On Wednesday March 30 there was no bonus event. All other weeks had it, but not March 30. Which has to mean one thing – Legion will be released on that date! It makes sense – the new expansions are always released mid-week. Alright, alright, so they put the Draenor Dungeon bonus event on the wrong date (shows as Tuesday instead of Wednesday), but that’s clearly a cover up, right? A last minute addition to cover up the Legion release date!